This year at VOLTA 13 Basel we will be showing at Booth D06, with artists Juliane Hundertmark, Nadav Drukker, and Simon Gaiger. Nadav Drukker is a lecturer in Theoretical Physics based at Kings College London. He has held research positions at a number of universities in the USA and the UK. Drukker developed his skills in ceramics as a means for communicating his research into string theory to non-scientific audience. The artist’s ceramics explore the languages of science, mathematics, and visual art. Drukker grew up in Jerusalem, completed his PHD in Theoretical Physics at Princeton, and now lives in London. Juliane Hundertmark is considered one of Berlin’s most original and inventive emerging painters. 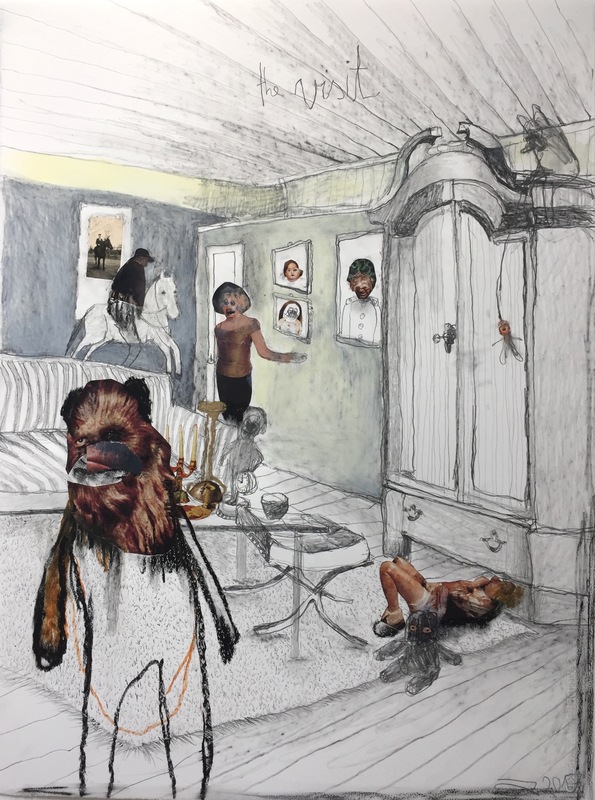 Her work communicates everyday truths as she experiences them.The artist’s distinctive style involves visual metaphors and the staging of scenarios to examine these social observations. Whilst yielding many interpretations, Hundertmark’s work is primarily concerned with psychoanalysis. Her narratives are characterised by an otherworldly combination of eeriness, humour, and dreamlike spectacle. Simon Gaiger’s sculptures are both human and landscape, narrative and abstract. They are influenced by the environment of his home in rural Wales, his childhood in Africa, and his time spent working as a shipwright’s assistant. Gaiger is known for creating solid wood sculptural furniture, often chiselled and organically shaped. His wood sculptures are elegant, and follow organic lines reminiscent of the fields and valleys of the artist’s home. Within his metal sculptures there is a gentle tension of opposing forces; elements strain and pull against each other or balance precipitously.